The MPPT per module allows for flexible installation design with multiple orientations, tilts and module types in the same string. When working with SolarEdge Inverters, SolarEdge power optimizers automatically maintain a fixed string voltage, allowing installers even greater flexibility with longer strings and strings of different lengths in order to design optimal PV systems. 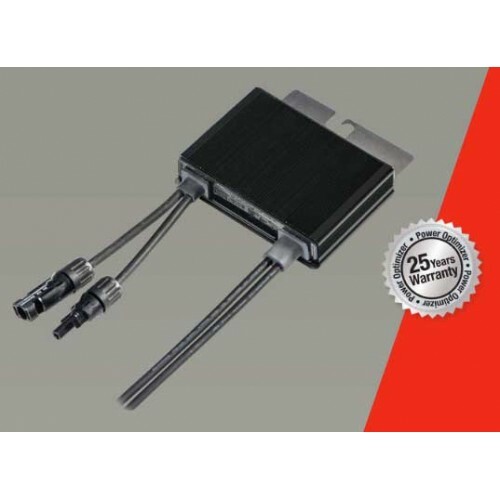 Alternatively, the new independent optimization (IndOP™) technology, allows power optimizers to be installed without the need for additional interface hardware and to operate directly with any inverter. The SolarEdge power optimizers are compatible with c-Si and thin-film modules and have a 25 year warranty.